Place the cubed carrots and parsnips in a oven proof dish and drizzle with a small amount of rapeseed oil and a pinch of salt and cracked black pepper and place in the oven at 220c until slightly golden, depending on the size it should take anything between 20 -30 minutes, make sure not to overcook. Boil the green lentils for about 25 minutes until just cooked through. Fry the bacon in a large deep dish on a high to medium heat until all the fat is rendered and it is golden colour, add the onion and sweat for 2 minutes. 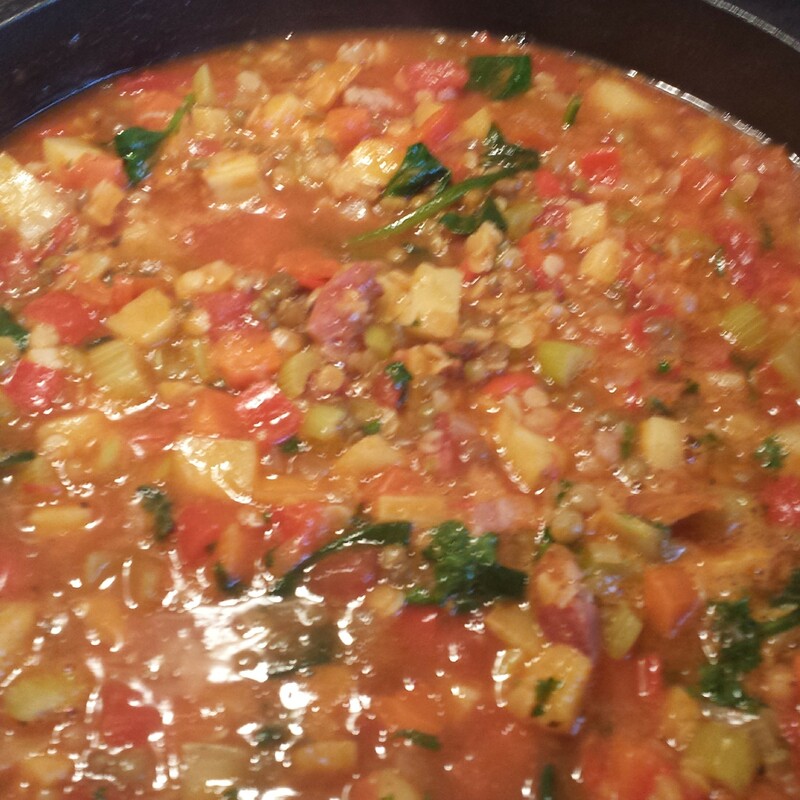 Add the garlic, herbs and drained red lentils, and cooked green lentils. Add the stock and tomatoes and cook for a further 8-10 minutes. Add the remaining ingredients, remembering to add the roasted vegetables and spinach and parsley last. Cook for a further 2 minutes, and then you are ready to serve. A hearty meal for winter, but equally delicious for the Ireland’s spring weather.